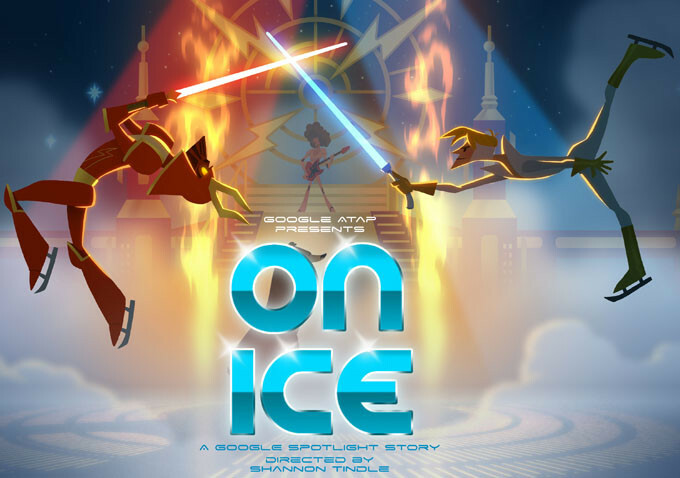 Watch the trailer for the On Ice VR short from Annie-nominated Shannon Tindle. On Ice, which is currently in the final phases of production at Evil Eye Pictures in San Francisco, is the latest Google Spotlight Story. It’s about an over-the-top, sci-fi themed ice show and its star, who suddenly finds he has competition for the spotlight from an unlikely rival. Tom Knott produces, Dufilho exec produces for Spotlight, Lou Romano is production designer, Mark Oftedal serves as animation director, McDonald is VFX supervisor and the score is by Stafford. “You have this story happening all around you but imagine placing that camera on the ice with the skaters?” said Tindle. 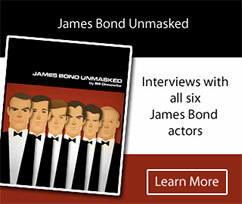 “It’s over-the-top and plays around with Star Wars and Flash Gordon but there’s a twist. Lou Romano and I tend toward more graphic sensibilities. I designed the characters and I want to get as close to Lou’s artwork as possible.